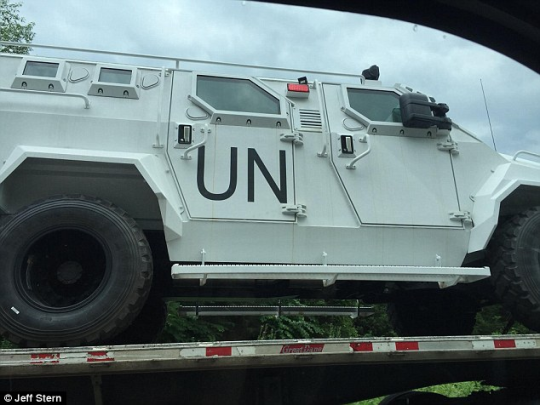 What are military UN trucks doing in Virginia? 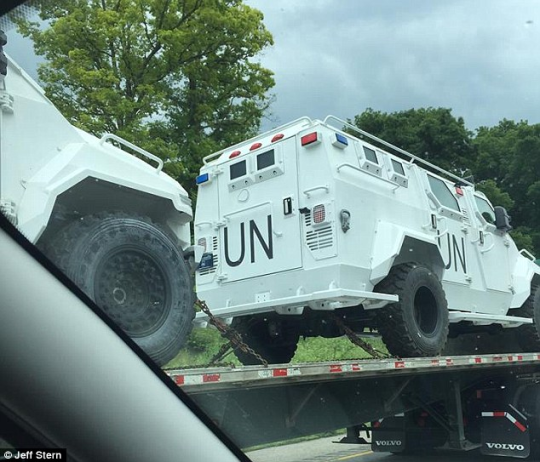 [DailyMail] Military U.N. vehicles have been spotted in Virginia, shocking motorists and sparking conspiracy theories. The white trucks, equipped with large off-road tires, were seen being transported on Interstate 81 on Friday. 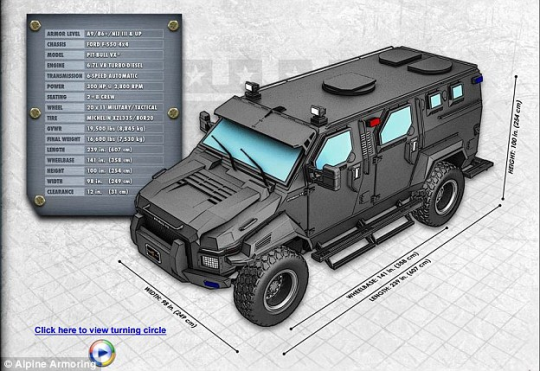 They appear to be Alpine Armoring’s Pit-Bull VX SWAT Truck models. 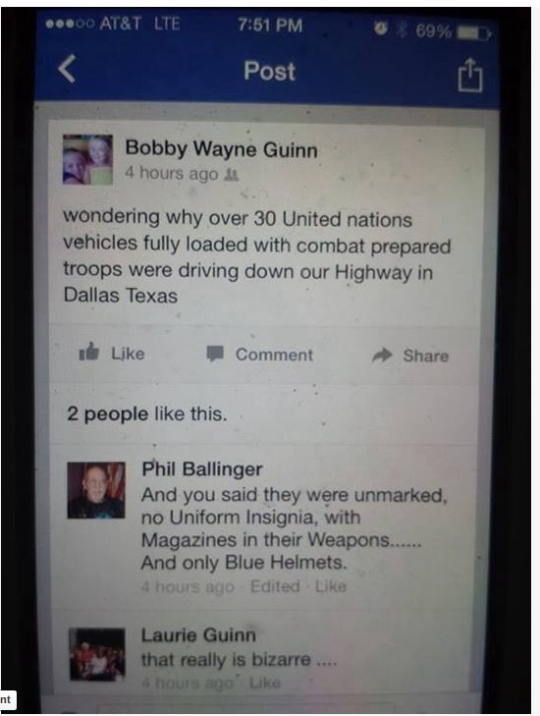 Bobby Wayne Guinn posted on Facebook that he had witnessed similar scenes in Texas. The U.N. is an intergovernmental organisation with 193 member states. Its objectives include maintaining international peace and security, promoting human rights, fostering social and economic development, protecting the environment, and providing humanitarian aid in cases of famine, natural disaster, and armed conflict. DailyMail.com has reached out to the U.N. for comment. Alpine Armoring has not responded to requests for a statement. 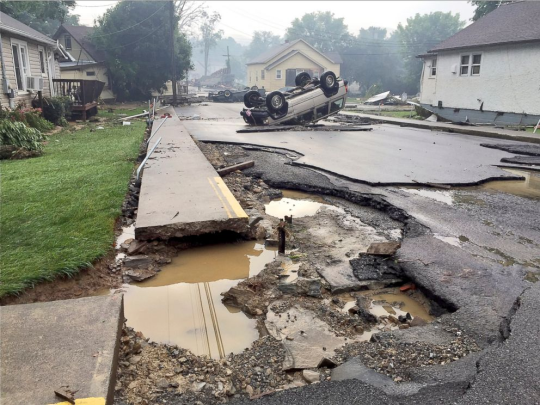 [ZurichTimes] West Virginia has seen the severe flooding recently and perhaps such scenarios are the perfect cover for the FEMA and UN personnel to position their Shock Troops strategically until it is time for them to act and bring us all into “Peace”, but just remember what their version of “Peace” looks like.